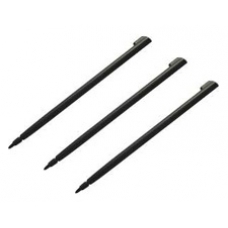 A pack of three high quality Acer N35 series replacement styluses. You never need be without a stylus again! These styluses come in black and are made of high quality long lasting plastic also with an ABS plastic touch screen tip reducing the likelihood of scratches, so they will not scratch your Acer N35 screen. The Acer N35 styli also fit perfectly in the stylus silo on the Acer N35. * Made of Durable High Quality Plastic.